Athabasca, Alta. 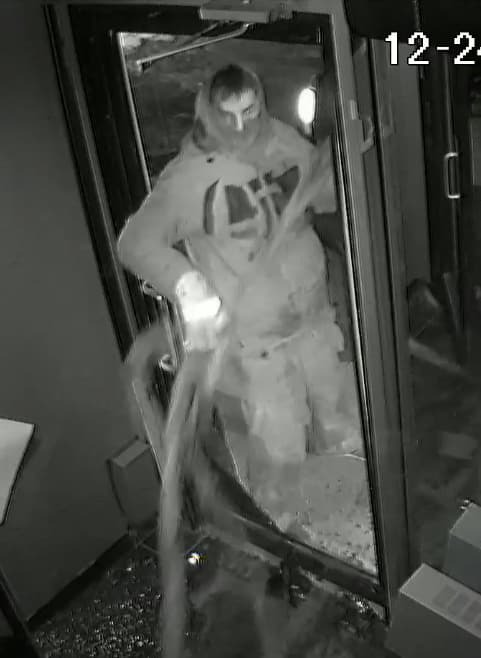 - On December 24, 2018 at approximately 5:40 a.m. Athabasca RCMP responded to a break and enter and theft of an ATM at Neighbour’s Pub. Upon arrival, RCMP discovered the front doors of the pub had been damaged, and the ATM inside had been stolen. 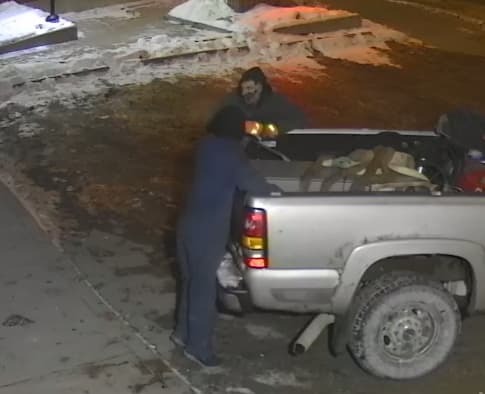 Video surveillance on the premises showed two masked individuals in a Grey GMC quad cab pickup breaking in and removing the ATM with a cable hooked to the truck. If you have information about this occurrence, please contact the Athabasca RCMP Detachment at 780-675-5122 or call your local police. If you want to remain anonymous, you can contact Crime Stoppers by phone at 1-800-222-8477 (TIPS), by internet at www.tipsubmit.com, or by SMS (check your local Crime Stoppers www.crimestoppers.ab.ca for instructions). So, here we are near the end of 2018 and Christmas Day, as l am sitting here writing to you about what we have accomplished this year, WOW, we were busy but had fun and connecting with all of you. The Events, Parades, Seminars, Workshops, Meetings, we have been attending to educate, get the word out, and if you seen the video, criminals have NO boundaries on where they hit. I would like to say Thank you to our New partner McDonald's, l had a meeting with the Communications Relations Rep and we had a great meet, so thank you Christine. My board have been working hard as well to connect with there members, to educate, network, communicate on any issues, concerns which we discuss and try to resolve them. If also put it out there if you need any signs replaced, we have lots of the Post signs and square ones to put in your window or else where. For our Fan-outs, my Vice President and myself sat down with the Sgt in Morinville, to discuss a communication problem, as our members were concerned and asked why they were not receiving any posts, so we fixed that issue. We now have a New Liaison, CST. Carter Boytinck, l have met him and he is very in tune with what is happening with property crime. So the Invitation is always open for everyone join us at the meetings, which are held every 2nd Tuesday of the month at 7 pm at the Morinville Provincial Building, we would love to hear and share your concerns, issues or just like to see what it is all about. We had Jennifer Kee from the "K" Division RCMP at our last meeting, she brought us a Presentation on the Crime Reduction Strategy, the mission that the RCMP have been facing and tackling since the 1st Town Hall Meeting in Sturgeon County ( River stone, Pinnacle Ridge). From January 2017 to October 2018 she showed the percentage of major crimes in Sturgeon County in that year, Serious Crimes= 488 occurrences =19% Property Crime= 2130 occurrences = 81% , this is just a small part of the presentation, she also discussed on the New crime mapping, is a great innovative tool, which we have on our website now and l hope you had a chance to check it out. I have recently became a board member with the Alberta Community Crime Prevention Association, here l will be able to bring more information, skills, tools to apply with my board, and be able to connect with other groups and help them build on this skill and knowledge, together we can be that strong deterrent towards crime and have that safe community again. I have your back and l will do everything l can to get you the information, answers and the tools in how to prevent the property theft's vehicle break ins. Show the strength that we had enough and be that COMMUNITY where people will feel safe and would come to live. So together for a safer tomorrow, inspiring voices for changes in community safety, we can do this!!!! I have said every time please REPORT IT, the RCMP need us to help and with the extra ears and eyes out there, we can show how STRONG we are as Crime Prevention IS Everyone Responsibility!!!! 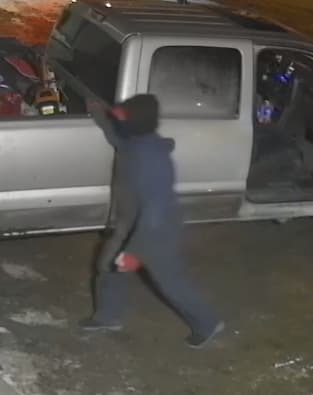 Between the evening of December 15th and the Morinville of December 16th 2018 a rural residence under construction was broken into and several pieces of construction equipment and materials were stolen. Fortunately no damage was done to the building. The residence is located on Range Road 241 near Highway 651 in Sturgeon County, Alberta. At this time there are no suspect/s or any known vehicles involved in the crime. If you have information about this incident, please call the Morinville RCMP at 780-939-4550 or your local police. If you want to remain anonymous, you can contact Crime Stoppers by phone at 1-800-222-8477 (TIPS), by internet at www.tipsubmit.com, or by SMS (check your local Crime Stoppers www.crimestoppers.ab.ca for instructions). 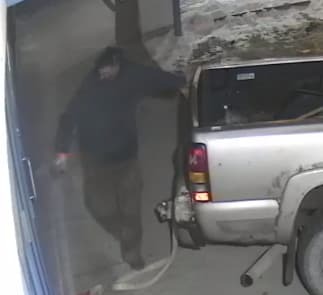 On December 7, 2018 at approximately 09:02hrs Morinville RCMP responded to an alarm to a rural residence South of Riviere Qui Barre near Highway 44 and Township road 552. Entry was made to the rear of the residence and various household items and electronics were stolen. A machete was left at the scene. If you have information about this incident, please call the Morinville RCMP at 780-939-4520 or your local police. If you want to remain anonymous, you can contact Crime Stoppers by phone at 1-800-222-8477 (TIPS), by internet at www.tipsubmit.com, or by SMS (check your local Crime Stoppers www.crimestoppers.ab.ca for instructions). Bon Accord, Alberta – Morinville RCMP are seeking the assistance of the public in locating Erik RHINE (15) who was last seen on December. 06, 2018 at approximately 8:30 p.m near Bon Accord, Alberta. It is believed Erik may be in the Town of Gibbons or the City of Edmonton. The RCMP would like to check on the wellbeing of Erik and is asking if anyone knows of her whereabouts or has seen her to please contact the Morinville RCMP at 780-939-4520. Morinville RCMP’s traffic safety focus for the month of December is Impaired Driving. In December Morinville RCMP and its law enforcement partners will focusing it’s attention on impaired driving. Unfortunately, impaired driving is still very prevalent in our communities. Over a 10 year period in Alberta, 934 people were killed as a result of alcohol or drug impaired driving. There are alternatives to impaired driving, especially during the upcoming holiday season. Plan ahead – use a rideshare, call a cab, have a sober designated driver, or get a friend or family member to take you home. On average, 6,837 people were convicted of impaired driving in Alberta each year over the last five years. Over a 10-year period, from 2007 to 2016, 934 people died in Alberta as a result of alcohol- or drug-impaired driving, and more than 14,000 people were injured. Mixing alcohol and drugs such as cannabis results in significantly increased impairment. In 2014 in Alberta, 19.1 per cent of fatally injured drivers tested positive in lab tests for both alcohol and drugs. The number of fatally injured drivers in Canada that test positive for drugs each year is collected and reported in the Traffic Injury Research Foundation’s (TIRF) National Fatality Database. In 2014, for example, 81.9% of fatally injured drivers were tested for drugs; among those tested, 42.4% were positive for drugs (Brown et al. 2017). Among these fatally injured drivers who were positive for drugs, 44.7% tested positive for cannabis; 41.2% for CNS depressants; 24.9% for CNS stimulants; and 24.0% for narcotic analgesics. In comparison, 87.7% of fatally injured drivers were tested for alcohol in 2014; among those tested, 28.5% tested positive for alcohol. If you spot an impaired driver please call the Morinville RCMP at 780-939-4520 or call 911 immediately. 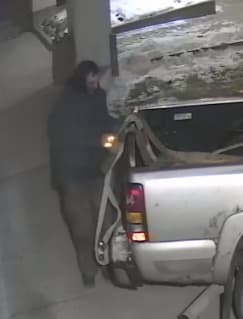 On December 4, 2018 at approximately 1652hrs Morinville RCMP responded to a complaint of suspicious activity in the Manner Estates Upper (54418 and RR251). The complainant reported that sometime over the past 5 hours an unknown person left fresh footprints in the snow around the property and appeared to have looked in some of the windows of the residence. No suspects or witnesses have been identified. No break and enter occurred, and nothing seems to be missing from the property. RCMP are asking residents to be on the lookout for suspicious persons and vehicles in the area. Morinville RCMP at 780-939-4550 or your local police. If you want to remain anonymous, you can contact Crime Stoppers by phone at 1-800-222-8477 (TIPS), by internet at www.tipsubmit.com, or by SMS (check your local Crime Stoppers www.crimestoppers.ab.ca for instructions). Earlier this year we connected with residents to talk about Cannabis Legalization through two drop-in sessions and an online survey to gather feedback about consumption, production and distribution, and retail sales. Based on the feedback that was received, we would like to share the proposed approach to manage the legalization of Cannabis. An information session is scheduled for December 4 at Namao Hall from 6 to 8 p.m.
Community Leaders and Residents will have the option to learn more about each area - consumption, production and distribution, and retail sales. Public Consumption may be more of a concern for residents particularly as volunteers are preparing their outdoor skating rinks. The CPC Rural Crime task force conducted town halls across the province, talking to thousands of Albertans. Their final report is attached here.